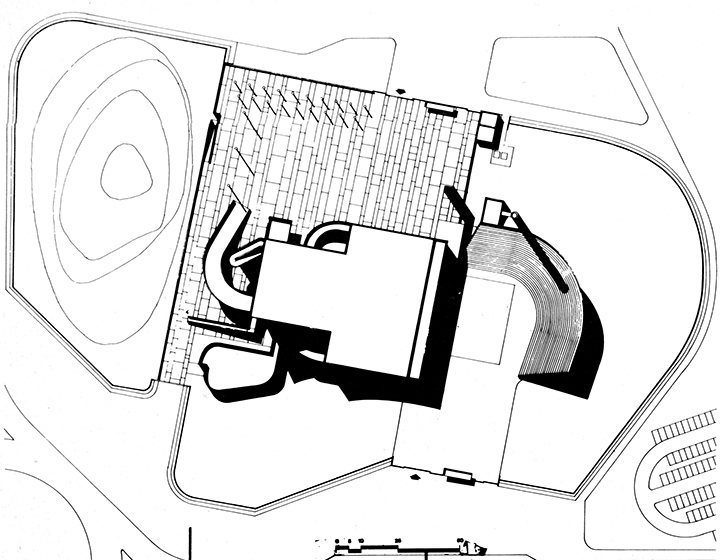 City of Mirages: Baghdad, 1952–1982 presents built and unbuilt work by 11 architects, including Frank Lloyd Wright, Le Corbusier, Walter Gropius, Josep Lluís Sert, Alvar and Aino Aalto, and Robert Venturi FAIA. Models of various scales of the built and unbuilt work by these and other architects are accompanied by a large-scale model of Baghdad. The history of modern architecture in Baghdad is not well known and remains relatively underexplored. 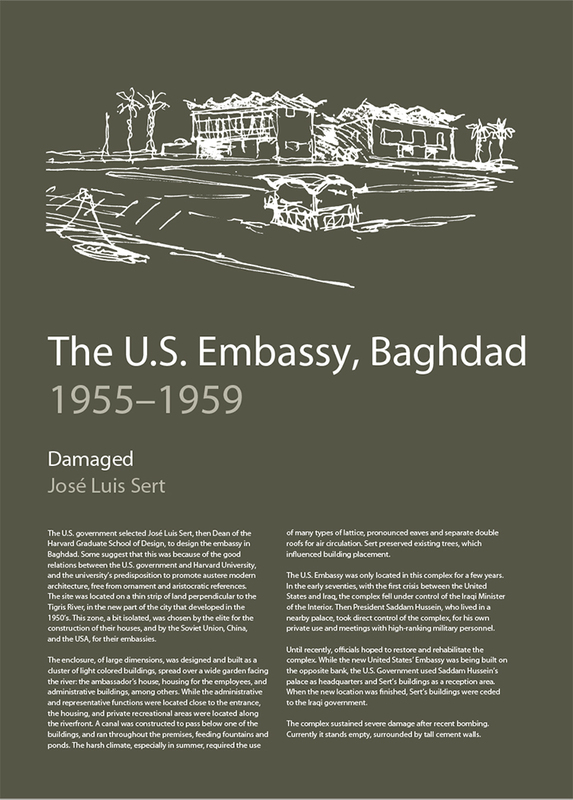 Specialists in Iraq and in exile throughout the world have undertaken detailed analyses of the topic, but many of the studies have been difficult to access in Europe and the United States, and the destruction of war has made it impossible to recover the complete modernist record of Iraq. The exhibition describes an era in which Baghdad was a thriving, cosmopolitan city, and when an ambitious program of modernization led to proposals and built work by leading international architects. City of Mirages is a traveling exhibition previously featured at the Collegi d’Arquitectes de Catalunya in Barcelona, Spain, and at the Center for Architecture in New York City. The exhibition, curated by Pedro Azara and installed by over,under, was organized by the Barcelona Delegation of the Col•legi d ́Arquitectes de Catalunya (COAC) in Barcelona. The US debut of the exhibition, at the Center for Architecture in New York from February to May 2012, was made possible by the AIA New York Chapter and the Center for Architecture Foundation. This exhibit is supported in part by the Aga Khan Program for Islamic Architecture at MIT.